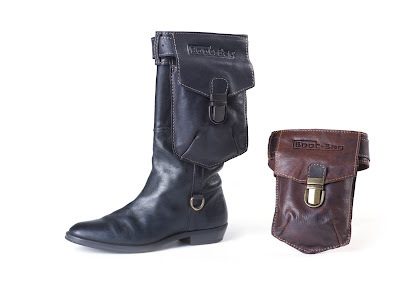 BOOT-BAG® is a stylish leather bag for your boots. A new and practical fashion accessory perfect for every woman, a vailable from September 2009. BOOT-BAG? is an innovative concept that the two greatest love of women, shoes and bags, combines the ideal solution for an ancient woman problem, where I leave my stuff? BOOT-BAG ® is the long awaited answer to stopping it in your boot lipstick, mascara and gum, keeping money in your bra or the lack of bags that one nice dress or skirt. Phone, bank card, ID, keys, not all fit into your skinny jeans and a bag where you throughout the evening should keep eye on is not ideal. 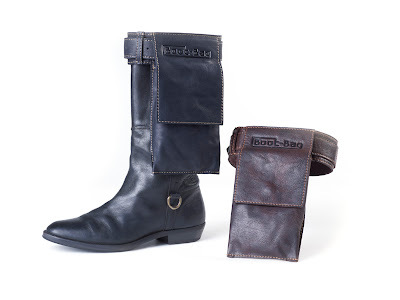 BOOT-BAG ® is a functional fashion accessory that does not exist! A Practical and trendy bag during the replacement of a nightlife. Convenient and easy on the boot to confirm this in a stylish sound jacket. 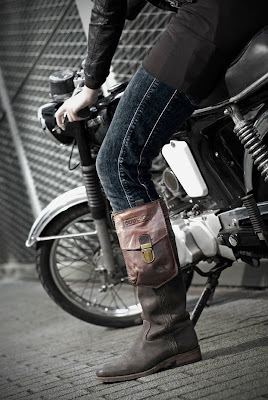 The tough BOOT-BAG ® is available from September 2009 to 4 exclusive models and in two different leather colors: black and brown. 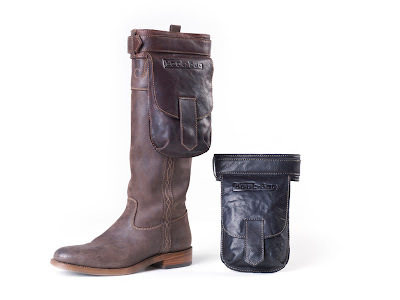 The BOOT-BAG ® is available in three models of small (13cm x 21cm) and a large format (15cm x 28cm). 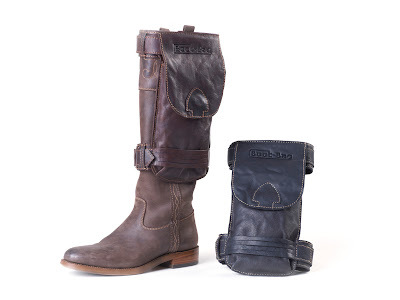 The BOOT-BAG ® is manufactured from high leather and is simple and well on every boot to confirm thanks a sturdy adjustable buckle. 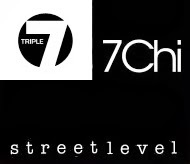 Very cool your blog... congratulations!